NOTE: This post replaces a popular one I wrote on the same topic in 2007. 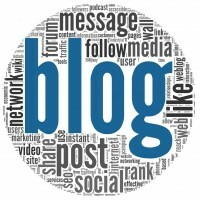 This post is intended to be useful to all forms of bloggers – independent folks, those seeking to monetize, and marketing professionals working an in-house blog from tiny startups to huge companies. Not all of the tactics will work for everyone, but at least some of these should be applicable and useful. Fresh Web SEO designed by Web Design Express | © Copyright 2013 Fresh Web SEO - No parts of this website may be copied without permission.